Google Shopping €2.42 Billion Fine - Right or Wrong? A lot of ink has been spilled in the last few days over the whopping €2.42 billion fine the European Commission has imposed on Google. The Commission claims that Google is distorting the comparison search market and by doing so is denying the European consumers ‘’a genuine choice of services and the full benefits of innovation". 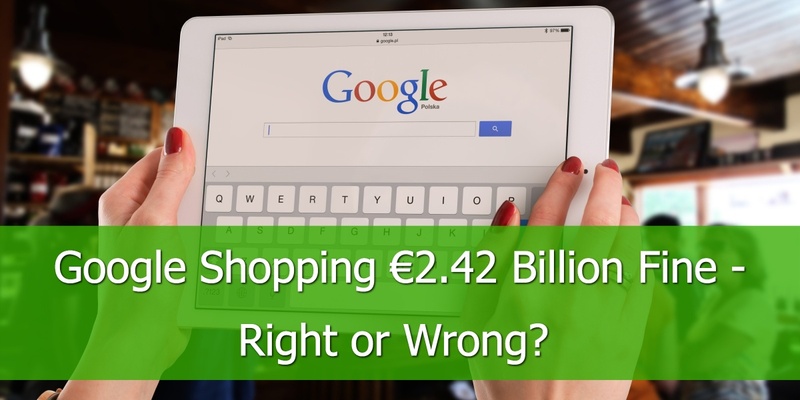 According to the European Commission Google has breached EU antitrust rules and ‘’ abused its market dominance as a search engine by giving an illegal advantage to another Google product, its comparison shopping service’’. For a full picture on why and how the European Commission reached this decision the press release offers a complete overview on the matter. Google’s response to the allegations is short. They’re not cherry-picking the top results to hurt customer choices. Was this the right decision from the EU Commission or a weak attempt at retaliating against the increasing power of Gafa (Google, Apple, Facebook and Amazon)? First, there is a general consensus that Google’s monopoly in search is concerning, It makes them act badly and there should be measures taken against that. Apart from this, everything is up for debate and it depends on which side of the story you find yourself. Most industry experts have strong arguments against EU’s ruling in this case. Maybe the biggest problem is that EU is confusing the comparison engine functionality with the product listing ads. Will Critchlow, from Distilled, makes a compelling case about the weak foundations of this. If consumer welfare is the point, then this decision is hurting the consumer by restricting innovation. Moreover, by allowing their rivals to advertise in Google Shopping the competition will increase and Google will make even more money. Increased competition, will lead to higher CPCs which, in the end, are going to be paid by the customers. 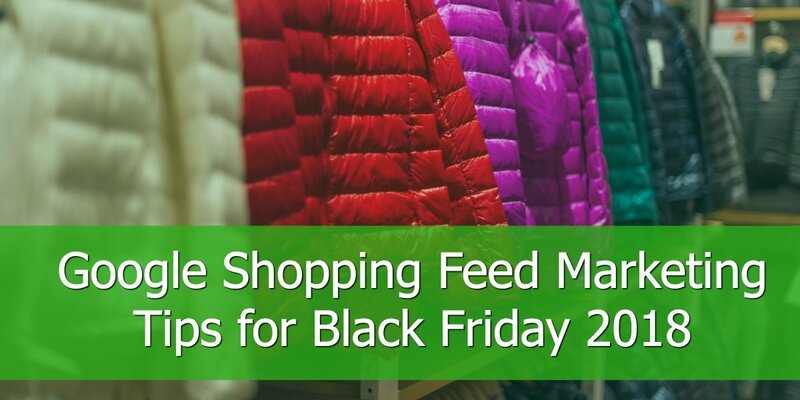 On the other hand, rival comparison shopping engines are thrilled by the news and excited to see how will the shopping advertising landscape change. We’ve talked to Ben Kerkhof, CEO, and Founder at CompareGroup.eu. Ben has been on the market since 1999 so he has witnessed all the ups and downs of the comparison shopping market. ‘’Google is so powerful, not only in the comparison shopping engine market but in online shopping in general. It’s scary for all parties involved. In the last years Google took so much traffic to themselves that we've seen a big difference in our market share in the countries where the service is available vs. the ones where it is not. Others are on the same page with him. Richard Stables, Kelkoo’s CEO says that ‘’ This is a big day for the industry and consumers in Europe’’. For Kees Verpalen, Founder at Beslist.nl his traffic was cut by 50% (to 300k visitors/day) since early 2015 and he expects ‘’Google shopping to disappear completely from the first page’’. What about innovation charges and better alternatives for consumers? Everyone seems to agree on the fact that Google is at the forefront of innovation. ‘’A lot of comparison sites entered the market in the early days. Their low quality and their shady traffic practices gave comparison market a bad name. They were adding little value and specializing in buying and selling traffic. The ones that survived have focused on the value they can bring to the customer and on innovation. The reason why we are particularly pleased with this EU-verdict is that the dominance and sheer size of Google Shopping is making it harder for us to innovate. In a way, the upcoming of Google Shopping forced us to add more value to our comparison shopping service’ for both consumers and retailers. However, the implementation of these innovations is often slowed down because retailers and web shops would rather wait for Google to implement a similar innovation as it has the volume of consumers to make it worthwhile the investment for retailers. This slow down, and often complete halt of innovations is not in the best interest of anyone, apart Google’s interest. As for the future channel selection our work as marketers is ‘’data-driven and when we see a shift in performance we will start analyzing the root cause of this shift. For now, my assumption is that this fine won’t impact consumer behavior much’’. One thing is certain. 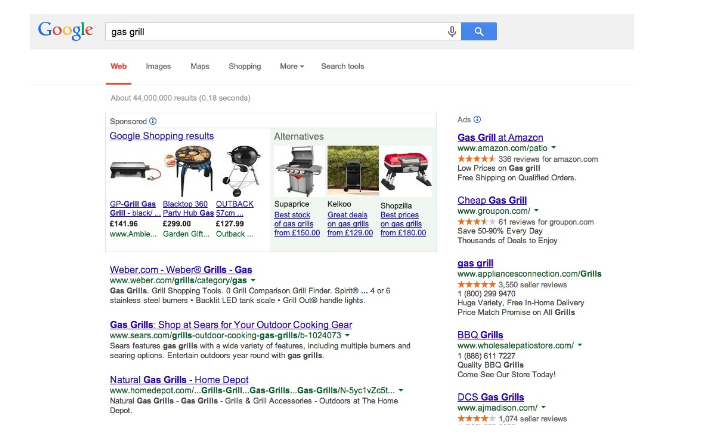 Rival comparison shopping websites are far behind Google in terms of inovation and customer experience. They should focus more on adding value to the customer and adapt their offering to the new purchases paths of shoppers. What should we expect to see in the future? There is a few hypothesis launched in this heated debate on how Google might change the current way of displaying PLAs. 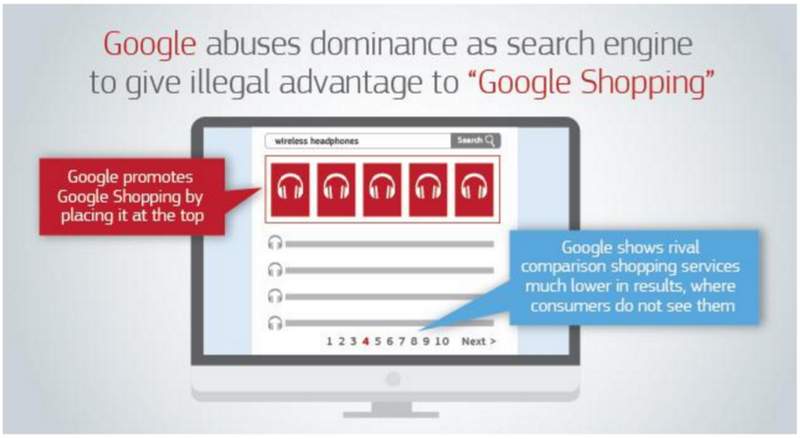 In 2015 Google had proposed a solution to feature the ads of its competitors next to the PLAs. The proposal eventually fell through at that time. They might come with a reiteration of that initial proposal. 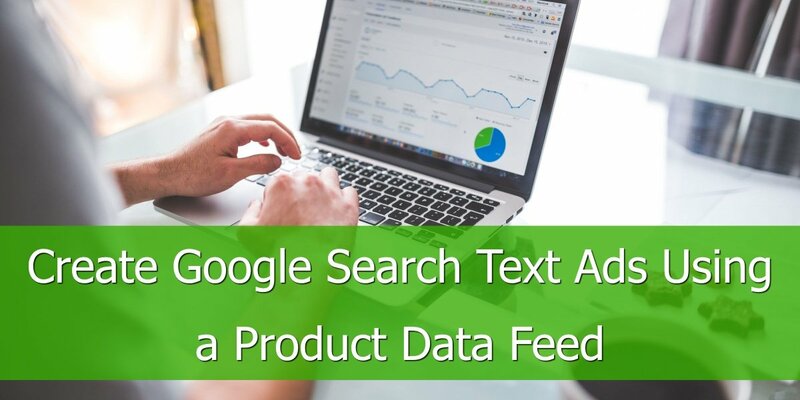 Google could eliminate the direct link in the menu to their comparison shopping engine, although not many people are using it. ‘’ If the Shopping results will be shown on the right (on the desktop) that might alleviate some of the EU’s complaints because the text ads and organic results get visually higher on the screen’’ Gianluigi Cuccureddu says. 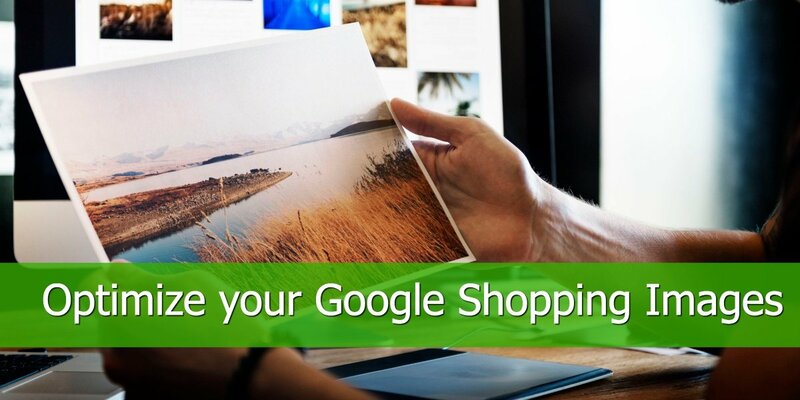 Close Google Shopping as a comparison shopping engine service, and keep the PLAs. 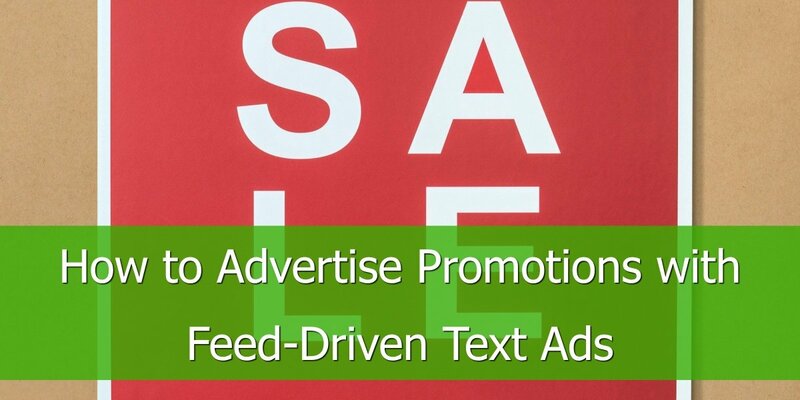 This will create a clear distinction between the standalone service and the ads themselves. Is this fine going to change the shopping advertising landscape in the short or medium term? Probably not. What we are sure of is that Google is going to push back. We will most likely see a sentence appeal from Google, which will take a few more years. If you are looking to reach more customers outside of Google Shopping in Europe, then you'll probably find our eBook Boost your Omni-Channel strategy with Top 10 Shopping Channels useful. Download it and discover new channels to advertise your products on.